Did you know that Captain Cook brewed a beer with rimu foliage to keep his sailors scurvy-free? Or that New Zealand soldiers suffering from dysentery during World War II were treated with tea made from the native koromiko plant? Those are just two pieces of knowledge I picked up during a three-day guided walk of the Hollyford Track in Fiordland recently. If you're not so into the native forest/history stuff, fear not – there is much, much more to this tramp than breathtaking natural beauty and fascinating trivia. Jet boats, anyone? Helicopters? How about seals? Being waited on hand and foot in cosy lodges? Thought so. Watch your cell phone reception dwindle away to nothing as you farewell civilisation. The Hollyford Valley runs from the base of the Southern Alps to the Tasman sea in Fiordland National Park, in the southwest of the South Island. Three days, two nights (so no, not technically a weekend walk, but close enough). 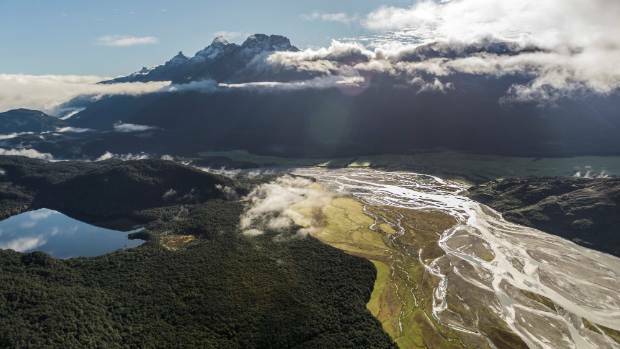 The Hollyford Track boasts some of the most stunning scenery in the country. The first day is the biggest walking day, with 19.5 kilometres covered on foot (that's five to six hours). 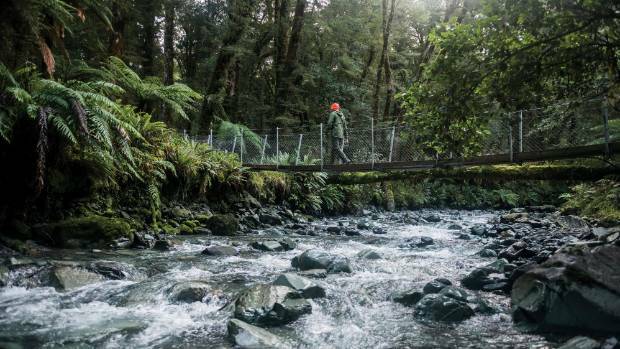 Day two brings 15km of walking plus a 25km ride on the aforementioned jet boat and the final day is a comparatively leisurely 8.5km of walking before you're helicoptered out in spectacular style through Milford Sound. The Hollyford Track from the air. 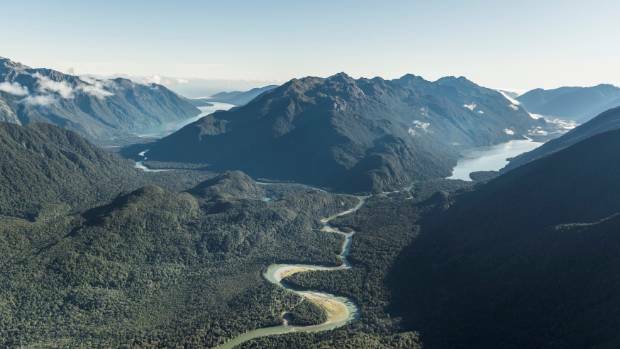 You're best to stay overnight in Te Anau (though there is a Queenstown pick-up option too), from where you and your fellow walkers will be collected by bus bright and early and driven through the Eglinton Valley. Watch your cell phone reception dwindle away to nothing as you farewell civilisation and descend further into the wilderness (insert wide-eyed terror emoji). You'll stop in at Gunn's Camp, a collection of campground-style huts for hunters, trampers and fishers – hardier folk who look with friendly amusement at the pampered guided walkers heading to a luxury lodge. The eponymous Davey Gunn brought the first tourists to the Hollyford Valley in 1936 to stay at this camp. He also hosted tourists on the coast at Big Bay and after a plane crashed there, Davey made an astonishing mercy dash to the nearest telephone. He was honoured in 1937 with a King George VI Coronation Medal for covering 97km in 20 hours – by rowing, riding and running (he abandoned the horse because it was too slow) – to get help. 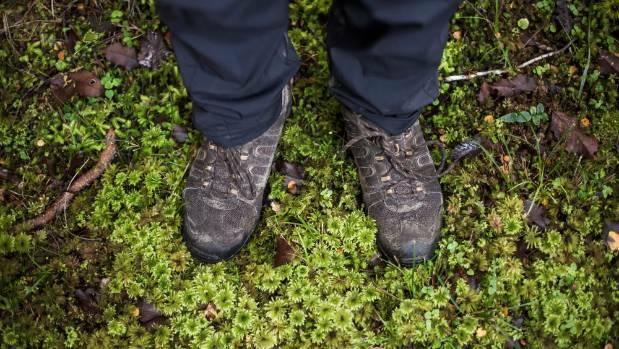 On the Hollyford Track you'll discover many things, including that moss is fascinating. Davey Gunn was a hard-case bloke and throughout our three-day walk, our guide Justin regales us with tales of his exploits – how he nearly blew up his packhorse, whom he later named Calm, after her saddle bags (containing gelignite and detonators) caught fire as Davey burned bush for farmland; how he stitched up his own private parts with fishing line after a nasty accident; and how he died on Christmas Day 1955, aged 68, when his horse fell while crossing the Hollyford River. Davey could do most things, but he couldn't swim. Anyway, after a home-baked friand and a few yarns at Gunn's Camp, you'll carry on a little further by bus then board the waewae express (AKA shanks' pony) to get on with this tramping business. Click HERE to see how Alice's weekend finished up.